easiHEALTH BRONCHO Junior™ may provide respiratory support, may be used as a bronchodilator, cough suppressant, expectorant, mucolytic & spasmolytic and it may help ease congestion, soothe throat infections & alleviate bronchial conditions. easiHEALTH BRONCHOSHIELD™ is a cough syrup formulated to have multiple benefits for supporting and restoring the body's own defense system. Ingredients are chosen to promote the general strengthening, toning and maintenance of the respiratory processes and functions. easiHEALTH COLON™ is a specially formulated capsule that contains a probiotic, prebiotic, isphagula (psyllium husk) and Peppermint leaf powder. This combination is a supplement which may be used for relieving a wide range of digestive ailments. Drinking Water, used in atomizers and used in mixing medicine. easiHEALTH IMMUNE BOOSTER™ CAPSULES have been formulated to offer a comprehensive immune booster with positive benefits in the management of several infectious conditions. This supplement is geared towards helping the body to achieve healthy sleep by improving sleep patterns. A good night's sleep is a necessity and easiHEALTH SLEEP™ can be used to relieve insomnia and ensure restful sleep, with no 'sleeping tablet hangover' the next morning. easiHEALTH VIRAL SHIELD™ is a formulation of immune boosting cold and flu ingredients. It may help to shield against viruses and reduce the risk, duration and severity of colds and flu infections. It may also reduce the severity and frequency of fever blisters. 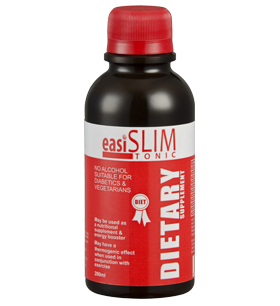 easiSLIM™ TONIC is a dietary supplement formulated to provide an effective means for appetite control combined with an energy booster. It incorporates a clinically proven fat burner. easiHEALTH PRODUCTS ARE AVAILABLE FROM LEADING PHARMACIES & HEALTH STORES NATIONWIDE. ALL INDEPENDENT PHARMACIES CAN ORDER OUR PRODUCTS FROM THE WHOLESALERS. 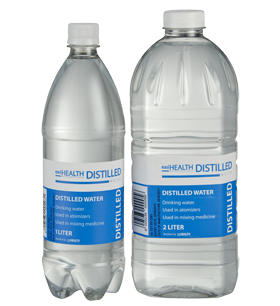 CLICKS STORES STOCK OUR easiHEALTH DITILLED WATER. YOU CAN ALSO PURCHASE OUR PRODUCTS ONLINE VIA www.iheal.co.za.